When we announced the pricing for our 2 link building seminars (London and New Orleans) we included a discounted price for all SEOmoz pro members. SEOmoz, and their members have been incredibly good to Distilled and we want to repay them whenever we can. The discount code meant that SEOmoz Pro Members got a £100 saving for the London seminar (£299 instead of £399), and a $150 saving for our New Orleans seminar ($450 instead of $600). After we had launched the prices SEOmoz launched a promotion to win lifetime pro membership (now ended) and started offering a free trial of their awesome software. Anyone, can signup and get a free month of membership, which includes access to the discount code for our seminars. This is an unbelievable offer which I'd encourage everyone to take advantage of. 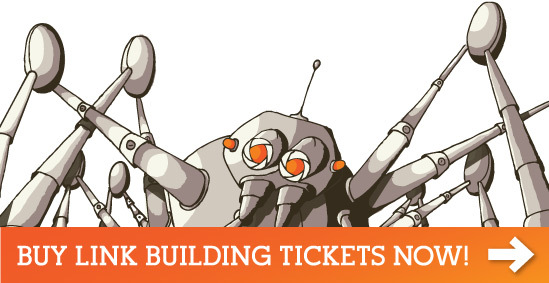 Roughly 90% of the ticket sales for the 2 link building seminars used the discount code, but that leaves 10% of people who paid full price. We don't think this is right, and so we have just emailed everyone affected to refund the difference in price. Our delegates are massively important to us and we want to prove that by doing the right thing and refunding the difference. We believe this is the right thing to do, we believe it is what you would want us to do and we know it is what SEOmoz would do. In short its the TAGFEE way of doing things. If you aren't already an SEOmoz member, then I'd strongly encourage you to go ahead and sign up now for free. Once you have done that you can get the discount code here, and then you can sign up at the discounted price.